Think you know what a BAD is? How about a SCAB? Episode 7 of Reappropriate: The Podcast is now live! In this episode, I’m joined by guests Juliet Shen (@juliet_shen, Fascinasians), KJ Park (@kyungjunpark), and Trungles (@trungles) to discuss how the interracial relationship issue within the AAPI community informs — and is informed by — notions of gender, sexuality and white supremacy. Definitely worth checking out! You can stream the audio and video of the episode through YouTube (above) or just the audio version (below). Subscribe to the podcast through the iTunes store or through YouTube. Next episode: Please join me next week (October 6th, 9pm EST / 6pm PST) for part two of my conversation with Cayden Mak (@cayden) of 18MillionRising on digital activism as decolonial tools of social change. You can RSVP to watch here! Reappropriate: The Podcast – Ep. 5 | What is #AAPI #feminism? I’m really excited to present the newest episode of Reappropriate: The Podcast, wherein guest Juliet Shen (@juliet_shen) of Fascinasians and I tackle the question “what is AAPI feminism?” It’s a great conversation that talks about identity, movement-building, gender & sexuality (including interracial relationships), and our role models. I hope you will take an hour to watch the podcast through YouTube above, listen to the audio only version using the mp3 player below, or download the podcast through the iTunes store. Note: In this podcast, I use the word “crazy” a couple of times in a manner that could easily be seen as reinforcing the ableist stigma of the word as negative. I want to draw attention to this because I first want to apologize to any listeners who are offended by my use, and also to underscore that this is a personal language habit I have been actively working on for many months. In the podcast, we talk about always being self-reflective and aware of our internalized -isms as well as conscious and deliberate about everything we do; I think this is a perfect example of what we were talking about and am disappointed in myself for the usage of this word. I think activism and advocacy is always a learning process, and I am certainly not perfect when it comes to challenging my own issues. So, yes, you will hear me slip-up a couple of times in this podcast and use an ableist term, and for that I apologize. Next episode: Please join me for the next episode of the podcast which will be recording on September 8th at 7pm EST (subject to change). The topic will be “Is digital or hashtag activism ‘real’ activism?”, and to discuss this I’ve invited Cayden Mak (@cayden) of 18MillionRising onto the podcast. You will be able to watch the podcast as it records through this link, and you can tweet your questions or comments now to @reappropriate to have them included on air! Posted on August 28, 2014 August 28, 2014 5 Comments on Reappropriate: The Podcast – Ep. 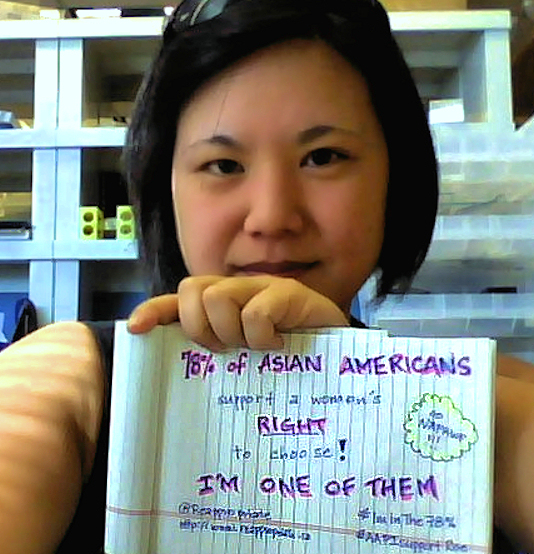 5 | What is #AAPI #feminism? This is the 9th year that May 19th will be marked as Asian American Pacific Islander (AAPI) HIV/AIDS Awareness Day, a day first established by The Banyan Tree Project (an AAPI HIV/AIDS advocacy group) and currently recognized by the US Department of Health & Human Services.